Kuala Lumpur, May 5, 2018: Among the five nation’s most ingenious talents, Norkhalizatul Akmal Mohd. 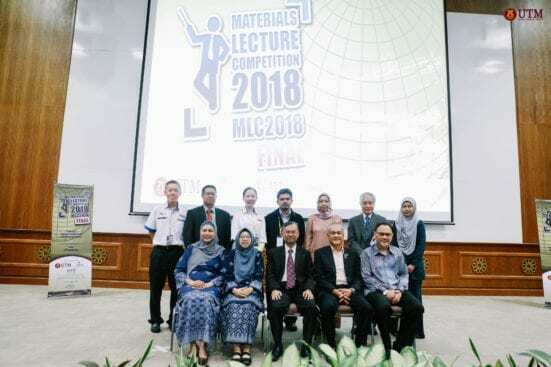 Jamil who is a master’s student from UTM Razak School of Engineering and Advanced Technology was announced as the first runner-up of the National Material Lecture Competition 2018 Finals (MLC 2018). 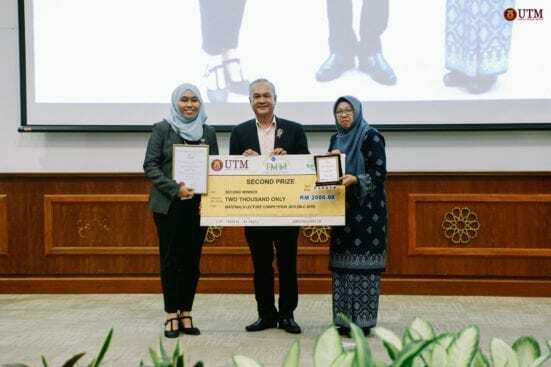 Majoring in Applied Chemistry and Management, Norkhalizatul walked away with a cash prize of RM2000.00 after astonishingly delivered her appealing ‘From Waste to Wealth’ research works on Hybrid Nanocatalyst Application. She was supervised by Datuk Prof. Dr. Halimaton Hamdan, a renowned Chemistry Professor in Malaysia. Norkhalizatul Akmal Mohd Jamil received a cheque of RM2,000 and a plaque from Mohd. Azmi Mohd. Noor, the President of IMM accompanied by Prof. Dr. Zaidatun Tasir. Jointly organised by UTM School of Graduate Studies, Institute of Materials Malaysia (IMM) and Institute of Materials, Minerals, and Mining (IOM3) UK, the national competition was held on the 3rd May 2018 at the Azman Hashim Hall, UTM Kuala Lumpur. This event was proudly sponsored by IMM, Serba Dinamik Holdings Berhad, UTM School of Graduate Studies and Zeta Scientific Sdn. Bhd. In the nail-biting finale, the participants were assessed based on their personal enthusiasm for the subject, presentation’s structure, technical content and clarity, along with their competence in handling questions. 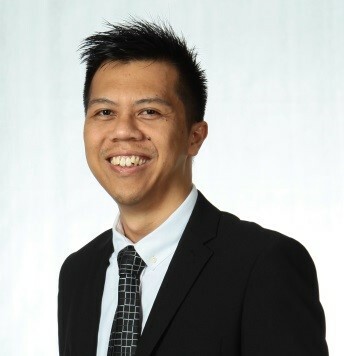 The first-prize winner of MLC 2018, Mr. Andrew Ng Kay Lup from Universiti Malaya (UM) will represent Malaysia in the Young Persons’ World Lecture Competition (YPWLC) 2018, which will be held in South Africa later in October. In his opening remarks, Professor Dr. Shamsul Sahibuddin, the Pro Vice-Chancellor of UTM KL campus, applauded the initiative of IMM to introduce MLC as a platform that stimulates students’ creativity and effective communication skills in delivering ideas. This half-day contest ended with closing remarks by Mohd. Azmi Mohd. Noor, the President of IMM who had also announced that Assoc. Prof. Dr. Astuty Amrin, the Chairperson of UTM-MLC 2018 Organizing Committee will be the official coach who will be accompanying Mr. Andrew to South Africa under a full sponsorship by IMM. Material science and engineering are closely interrelated and undeniably will continue to play an even more significant role in the current and future times. Serving as the platform of opportunities for students to hone communication skills, instill confidence and prepare for their career, MLC will continue to be an important annual event in the calendar of IMM. The 8thMaterial Lecture Competition (MLC 2019) will be hosted by Universiti Teknikal Melaka (UTeM) next year.